Frequently Asked Questions (FAQ) master list! With often 500 to 1,000 comments posted in a given day across my 4,000++ videos, there's bound to be some repetition, or even a lot of it. Here's a collection of responses to all of the most common inquiries from viewers around the world. 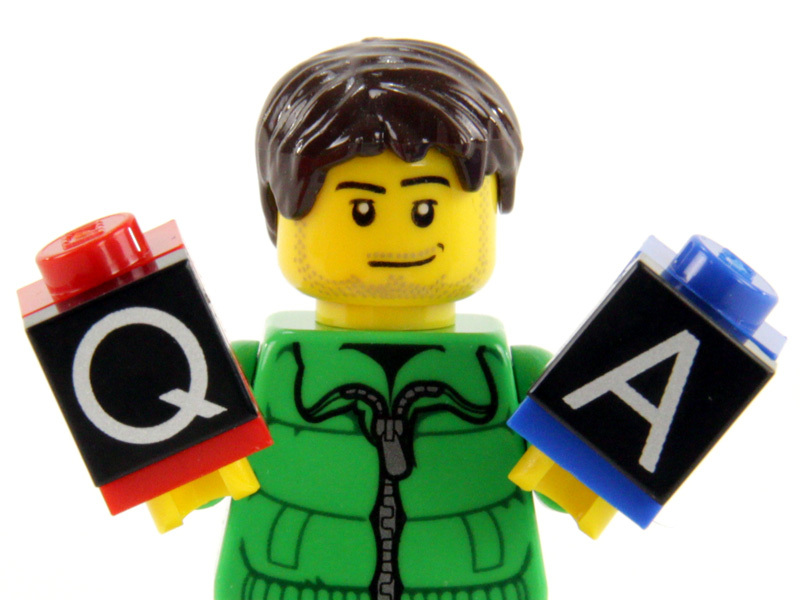 Q: Do you review free products given to you by manufacturers like LEGO? A: No. I do not accept free products to review. I buy all of my sets to review at full price from public sources as a normal consumer. On the rarest occasion that I do accept a free product these days, I do not use it for any video or post with "review" in the title and I am very explicit about the circumstances under which it was acquired. Q: Where do you buy from & how do you get sets "early?" A: See my detailed answer. A: The next time it is updated enough to warrant a new video :) My builds & videos aren’t tied to a regular schedule. A: Search YouTube or my channel for "jangbricks [name of the set]" to quickly see if I have what you're looking for. Q: Do you use scripts & narrate your videos separate from filming them? A: No. With the very, very, most extremely rare of exceptions, I record live, freestyle audio during filming with no script of any kind. Q: Do you have any tips for new YouTube channels? A: Yes! See my detailed answer. Q: Will you sell, trade, or give me one or all of your sets or figures? A: No. I only donate to charities & don’t sell to the public. See my simple stance on selling, & giving away items. Q: First? 2nd comment? 100th viewer? Can I get a heart for no reason? A: Nope! Pointless number-spam is auto-deleted across my channel! The endless pages of posts saying "1st" and "213th like" and such that are commonplace across most of YouTube have no home on my channel. All comments are manually moderated and spam & likebait is never even seen by other viewers. I choose to encourage thoughtful comments and reward meaningful discussion instead of maximizing empty interactions. Q: Why do you always complain about products? (or) Why do you always rave about products? (aka) Why do you say both positive and negative things in your reviews? A: Because they're reviews, not advertisements or roasts. See my detailed answer. Q: Can you show your studio? How do I make my videos look exactly like yours? Q: How do you restore old, discolored LEGO parts? A: See detailed answer & video tutorial. Q: Where do you get clear stands for LEGO models? Q: How do you deal with dust on your LEGO layout? A: See my video tutorial. Q: Why does LEGO use so many random colors for parts, especially Technic pins & such? A: There's actually a method to the mess. See my detailed answer. A: No, nearly all music I ever use is either very expensive, licensed material, or my own copyrighted creation. It is strictly illegal reuse this material without license and you risk permanent banning from YouTube if you utilize copyrighted material without permission. Q: Will you make a how-to/tutorial or instructions for a custom creation? A: I don't have the time, I'm afraid, but I try show enough detail in my videos to let anyone Pause & see how things are made. Q: Why don't you follow or subscribe to lots of people? Q: Is Disney licensing jacking up LEGO Star Wars & Marvel set prices? A: That's a major (though common) misconception. See my detailed answer. A: They were always making them for money. See my detailed answer. Q: Why don't you name Bricklink sellers in haul videos? Q: What tables do you use in your city layout? A: Linnmon from Ikea with Adils legs. Q: Why do you pronounce "AT-AT" phonetically? A: See my detailed answer! Q: Why do you pronounce "ninja" that way? A: See how to pronounce Ninja. It's a Japanese word that's easy to pronounce correctly. Having watched a lot of Japanese TV & movies as a child and having participated in Japanese martial arts training in my teens, I cannot bring myself to use the Western "ninnn-jyuh" mispronunciation. I'm thankful that none other than Jackie Chan himself backed me up with his pronunciation as Master Wu in The LEGO Ninjago Movie. Q: A video was just uploaded; how does it have comments from days ago? A: YouTube's "uploaded on" text is wrong, is all. The video was just previously unlisted & linked from here and/or social media. Q: It's [X] o'clock, why are you posting? A #1: It's [X] o'clock, why are you posting about me posting? Hey Jang! I was just wandering, What do you do with the small re-sealing bags you get from Bricklink orders? I use them to store smaller parts. Thanks! What music do you use? I really like it! His entire city is custom! Where do you get or what is your storage drawers called? Hey Jang, I just wanted to say that you make amazing YouTube videos and that you are the best Lego YouTuber there is! Your reviews are awesome, your custom city is enormous and awesome.i know that i can count on you to make a good review on a new Lego set. In fact, the first video of you yours that i ever was the Indominus Rex breakout, and that was because I had just seen the movie in the theatre! I'm fact it was so awesome that I watched it almost every day until I got the set myself! I've been watching you for about a year now and I still find you just as awesome! I'm sorry that I'm not able to subscribe or anything, but I don't have a YouTube account or anything, and I really don't like going on social media, but in my opinion how much I watch makes up for it. Please tell me if you agree. Anyway thanks for taking the time to read my comment and once again, I'm a HUGE fan! can you sell some of your MOCs? If you can THanks JANG :D.
i think i kinda agree with you. guess what you are my favorite lego youtuber i love your new rogue one sets i got an at at walker today! and i love your channel! Where did you get the dividers that you use in your drawers?? I was watching your video with my son and it was a great way to organize all the little accessories. Thanks! Hi Jang I was wandering what is you cleaning process with you Lego,how do you keep all the dust of it? Can you fund me for my LEGO Simpsons sets and blind bags? by Jonathan Wyatt Hughes. if so thanks and please let me be on one of your reviews u r gr8 .!!!!!!!!!!!!!!!!!!!!!! Who sings that song I'm going love you babe cross my heart and hope to die? My son watches all your videos and he loves that song it's from video with the set 10255 toward the beginning of the video any help finding this song would be greatly appreciated! Keep up the good work on the videos !! Which brand are the baseplates that you use to display the minifigures? Jang or anyone I need help with a piece for my 90s pirate ship. Can you email if you think you can help. I need 1 piece to make it 100% original and the piece is no longer made. Please email if you can help! 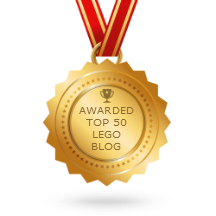 machinex413@gmail.com thank you so much Lego maniacs! Jang I have complete 90s black nights castles. If you wanna see them email me machinex413@gmail.com I saw in one of your 90s book reviews you wanted to see grey walled castles. I got them and besides some other 90s sets they are my pride. Hey Jang, can you post your technique or techniques on how to properly apply stickers to the bricks? I can never seem to center them right. There has to be a way to do it to make them center correctly. Jang, I wondered back in late 2017 why I didn't see a review on the newer UCS Falcon. I've searched your playlists and done a YouTube search. Do you have a policy on spending limit for a single set? Why don't your videos have adverts?